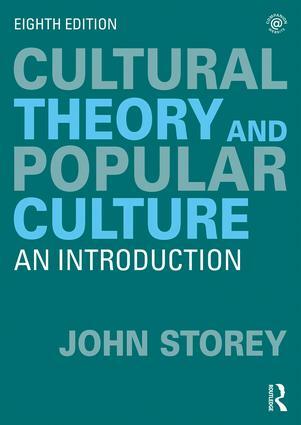 In this eighth edition of his award-winning Cultural Theory and Popular Culture: An Introduction, John Storey presents a clear and critical survey of competing theories of and various approaches to popular culture. Its breadth and theoretical unity, exemplified through popular culture, means that it can be flexibly and relevantly applied across a number of disciplines. Retaining the accessible approach of previous editions, and using appropriate examples from the texts and practices of popular culture, this new edition remains a key introduction to the area. updated student resources at www.routledge.com/cw/storey. The new edition remains essential reading for undergraduate and postgraduate students of cultural studies, media studies, communication studies, the sociology of culture, popular culture and other related subjects.